#Education2017 – Where to now? 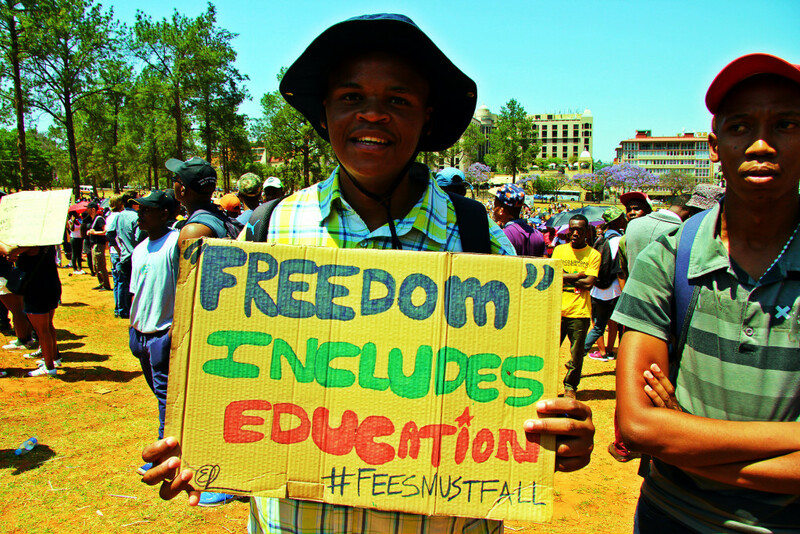 Many of South Africa’s youth stand before an uncertain future. A journey filled with difficulty and strife. Punctuated by indifference from an education system that is largely failing them. As universities officially begin in 2017, unsure of where the #FeesMustFall movement will go, countless students won't make it to the end of this academic year. Thousands still haven't been able to register. Either financially excluded due to outstanding fees from previous years, or unable to pay the hefty registration fees expected by our institutions of higher learning. And that’s not even taking into account the lack of capacity at South Africa’s universities. 151 830 matriculants achieved bachelor passes in 2016. But there aren’t enough places to accommodate this past year’s varsity hopefuls. Never mind those applying for university a few years after passing high school. Of South Africa’s seven top universities, a total number of 54,400 first-year places are available for the nearly 600,000 applications for first-year study (a mere 9%). 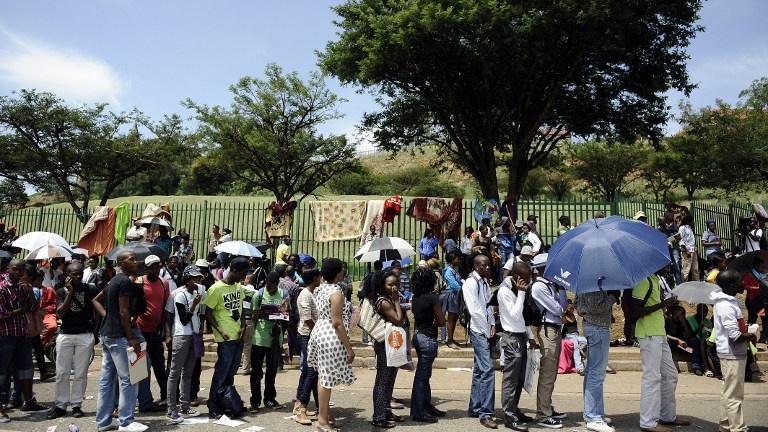 The University of Johannesburg has received nearly 135,000 applications but can only accommodate 10,000 students. UCT has received nearly 27,000 applications but can only take in 4,200 first-year students. At Wits, applications for first-year study stand at 70,000 but it has place for only 6,200 students. The Nelson Mandela Metropolitan University in Port Elizabeth has received 112,000 applications for the 6,500 places available. The University of KwaZulu-Natal has received about 89,700 applications for the 8,700 places it has available for first-year students, while the University of Pretoria has received 38,121 applications but can accommodate 9,500 first-year students only. Many more haven’t even bothered to try and register in 2017. Alive to the fact that their families simply can’t afford the tuition. They are left to wait. Hopeful that they will find a job and save for tertiary education. These are the harsh realities and tough choices facing South Africa’s youth, and our Dlala Nje 2016 matriculants are no exception to this sad rule. However we are hopeful that our matriculants have a slightly better chance, and a slightly brighter future, then many other South Africans. Predominately because our 2016 matric results were so much better than we expected! In 2016 we offered a quiet and safe place to study for matrics. Opening up 5101 - our office and tours, immersions & experiences venue - to all matrics needing a study spot, weekday nights were spent hitting the books and prepping for exams. "5101 was great - there was internet, so I could research everything I needed. It really helped me pass," said Busani Khumalo, one of the Dlala matrics of 2016. Somewhere you can just concentrate on your studies is difficult to find where I grew up. "I loved studying in 5101 - all the resources were there. Especially peace and quiet. 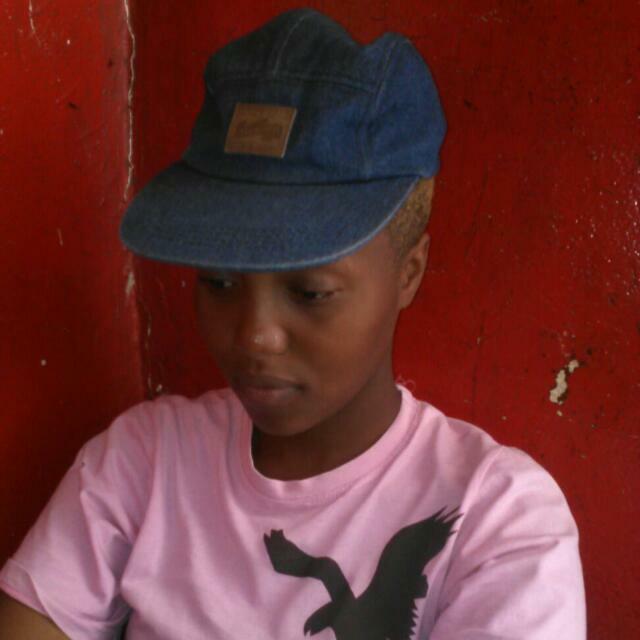 My little sister is always running around at home, so I can't study there," Natasha Ngulube, another Dlala Matric added. 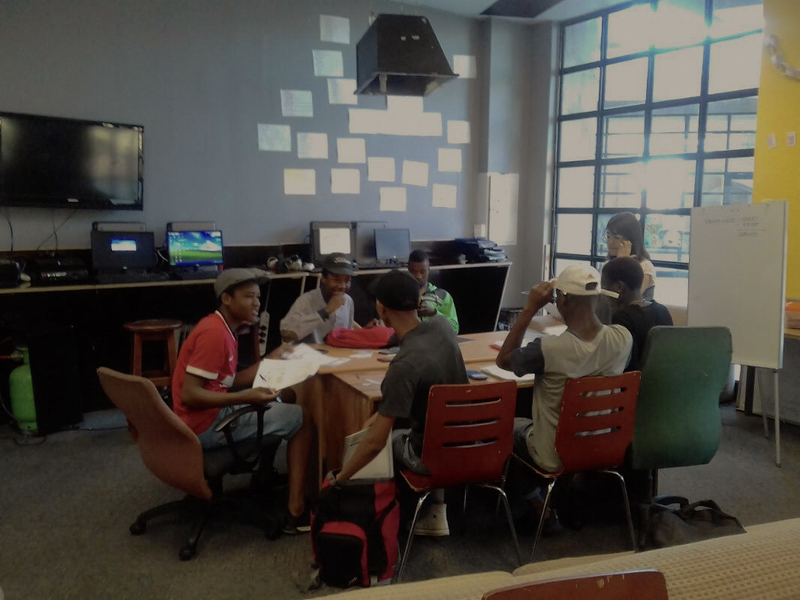 In addition to making a study space available, extra Accounting classes were held every Saturday in the run up to exams, hosted by Nina Shabason. "It helped me understand everything I didn't know" Dudu Nkomo, one of the extra-Accounting students said. "I managed a pass, which makes me happy. I would have failed the year if I failed accounting." "The teacher at school was no good. These classes helped a lot. 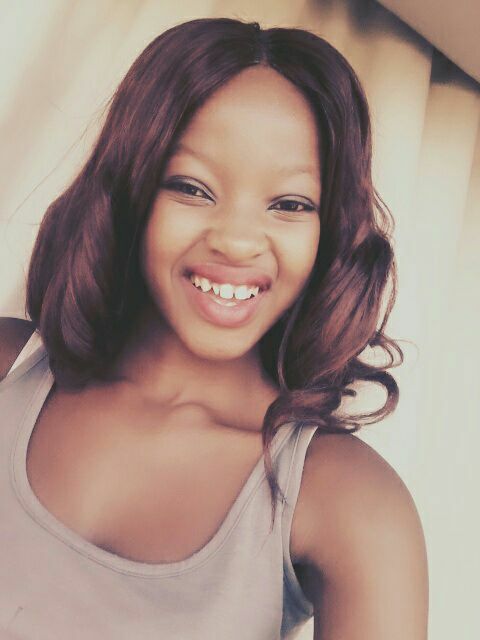 I passed when I thought I was going to fail," Blessing Makhubedu, another extra-Accounting students added. Although many studied diligently for their final examinations, they do not have tertiary education to look forward to this year. And are uncertain if they ever will. "I don't have solid plans this year because I couldn't register," Busani confessed to Dlala Nje. 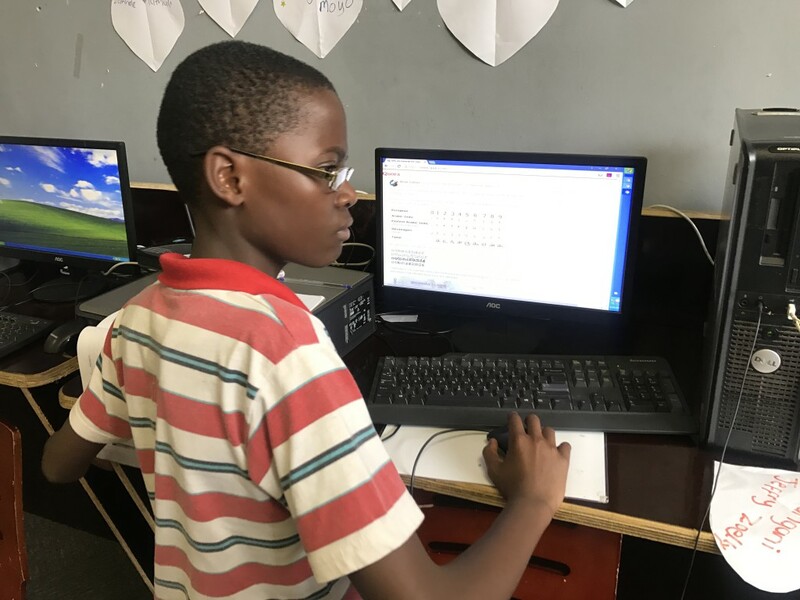 After scoring a 73% for Maths, 66% for Accounting and 69% for Economics, Busani had high hopes of studying towards a Bachelor of Accounting this year. Natasha too has some great grades. 76% for Economics and 70% for Business Studies. But her plans are too stifled by a lack of funding. "I also want to study but my mother just doesn’t have the money," she explained. Both Natasha and Busani are looking for work to finance their studies. But it’s a tough job market for young people, with an average youth unemployment rate of 51,1%. "I'm trying my level-best to find a job, but eish it's hectic. It's like nobody wants to hire young people," Blessing explained of his job seeking mission. Dudu is the only one lucky enough to be working for now, as a waiter near Kempton Park. "It's all I could get for now. I know it's not great but I must do what I can." They are all a touch luckier than Ndodana Ncube though. Another 5101 attendee, Ndodana hasn't even got his results yet. His school fees remain unpaid, so he doesn't even know if he has passed after all his hard work. As heart wrenching as this all sounds: It's the plain and simple reality for the majority of youth in the community Dlala Nje serves. And while our efforts in 2016 didn't see any of our matriculants head to university, we won't stop believing in them and all our other Dlala learners. Helping them along the way, however we can. 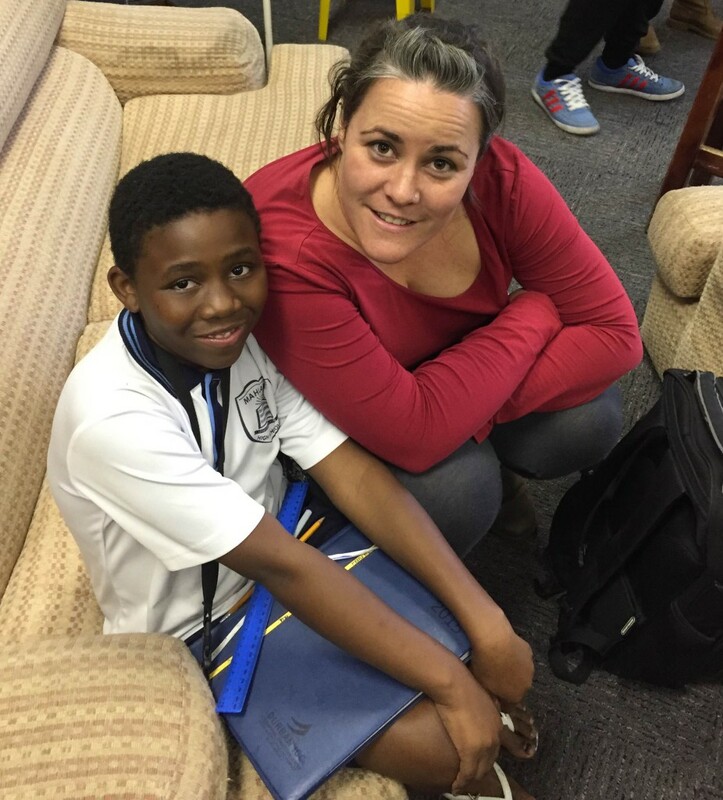 Kwazinkosi Ndlovu joined the Dlala Nje team as our new homework facilitator for 2017. Every afternoon he can be found at our headquarters in Ponte City, guiding our learners through their daily tasks. 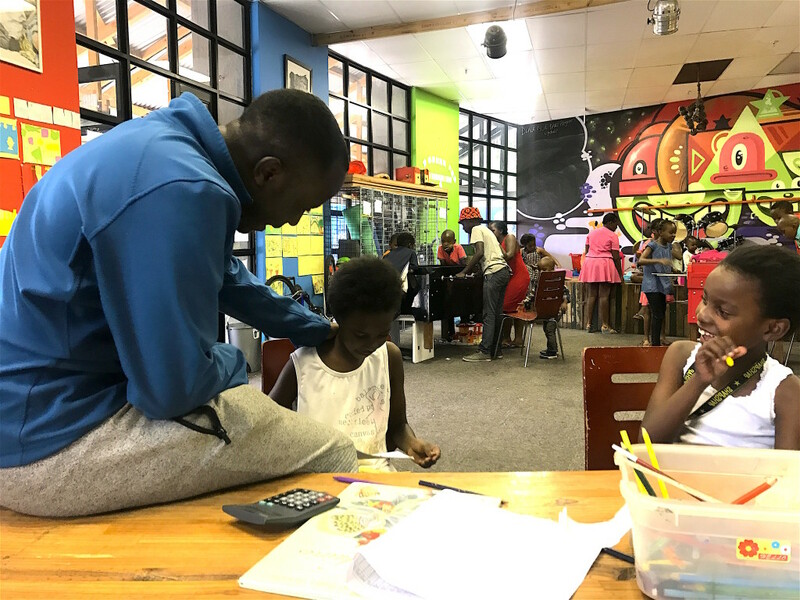 Kwazinkosi helping the Dlala kids through their homwork. Sarah Wild is also back this year, offering extra Mathematics and Science lessons to anyone who needs a helping hand. And Nina will be around again this year, to help matriculants wrap their heads around all things Accounting. If you think you can help, and are keen to get involved. We'd love to hear from you.